Indonesia will extend by three days its search for the bodies of passengers from the ill-fated Lion Air plane, an official said Wednesday (November 7), as authorities struggle to identify victims of the crash. 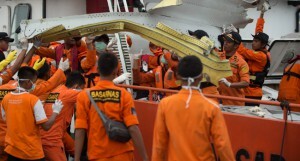 The Lion Air plane was en route from Jakarta to Pangkal Pinang city on Sumatra island 10 days ago when it plunged into the water, killing all 189 people onboard. 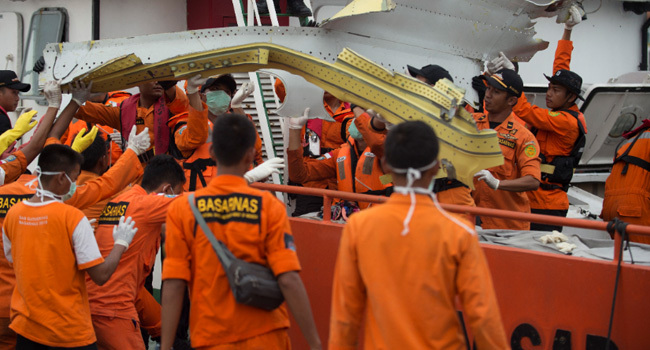 Search teams have filled some 186 body bags with remains found after the devastating crash, but only 44 victims have been identified so far, Muhammad Syaugi, the head of the national search and rescue agency said at a press conference. The navy, police and volunteers that have also been involved in the search will be stood down, he added. Hundreds of mourners aboard a pair of Indonesian navy vessels tossed bouquets and scattered flower petals into the Java Sea on Tuesday, near the spot where the brand new jet crashed. Divers have retrieved the plane’s engines, wheels and one of its two black boxesthe flight data recorderbut are still searching for the cockpit voice recorder. A preliminary report on the cause of the accident is expected at the end of the month. The Indonesian National Transportation Safety Committee said Monday that flight recorder data has so far revealed the plane’s air speed indicator had not been working properly on its last four journeys, including on the fatal flight. The JT610 flight sped up as it suddenly lost altitude and then vanished from radar just minutes after take-off.